Ideation is a collection of textiles that reflects a modern vision with an experiential approach to design. The collection draws inspiration from architecture and provides fresh perspectives by using classic materials in new ways. Modulus, Seismic Shift, Digi Tweed and Heather Tech strengthen designer toolboxes by providing nimble basics and multiple utilitarian colors. 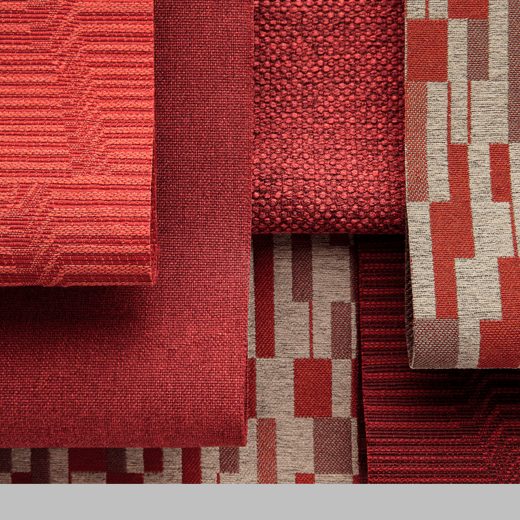 An abstracted and simplified approach to pattern allows color and texture to drive the collection. Two upholstery patterns—Modulus and Seismic Shift—explore spatial dimensions through color-value relationships. The multi-purpose textures Heather Tech and Digi Tweed feature coordinating shades inspired by honest tinted materials like brick and concrete.